It consists of a forward rotation of a mass of rocks about a pivot on a hillslope (DIKAU et al. 1996). Toppling is a mode of failure that involves the overturning of interlocked columns. Detachment can be of single or multiple columns. 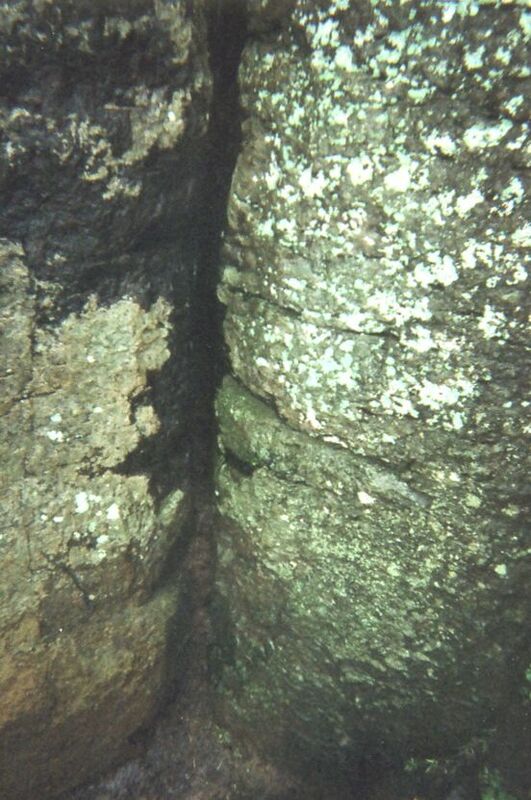 At the Giant’s Causeway failures usually occur along structural discontinuities present in columns of “Middle Basalts”, but they can also happen on tension failure structures. Debris from upper formations (palaeosoils, till, present soils) can fill these joints between columns and help failures to happen. This infilling can be seen on the first photo on the left. There are three kinds of causes. On one side percolation from upper layers that takes advantage of vertical joints, and loads them with debris. Secondly undercutting, mainly because of landsliding and creeping of debris and interlayered soils. Finally intense storms, with high rainfall and wind can appear to trigger toppling. Toppling is a mode of failure that mainly happens where joints and discontinuities are mostly parallel to the slope profile. Such situation is quite rare on slopes, but in case of the Middle Basalt ‘colonnades’ they create situations prone to failure, especially at the contact between such ‘colonnades’ and ‘entablatures’ of lower flows. As a result of this, every place on the cliff where there are basalt columns is a potential toppling area. Moreover places where these columns overlay old soil layers, are particulary prone. During or after intense storms and long duration rainfall.